In a bid to contain the ever accumulating toys’n’trains in my 4yo son’s room, I hot footed it to my local HomeSense thinking I’d pick up a pair of nice big rattan baskets. Not only would they be the perfect dump bins, but they’d be a lot nicer to look at than the plastic buckets he currently has; and more in keeping with our home as a whole. What I didn’t expect, was to get so over-excited by what I bought that I raced straight home, one tucked under each arm, to begin researching where they’d come from! 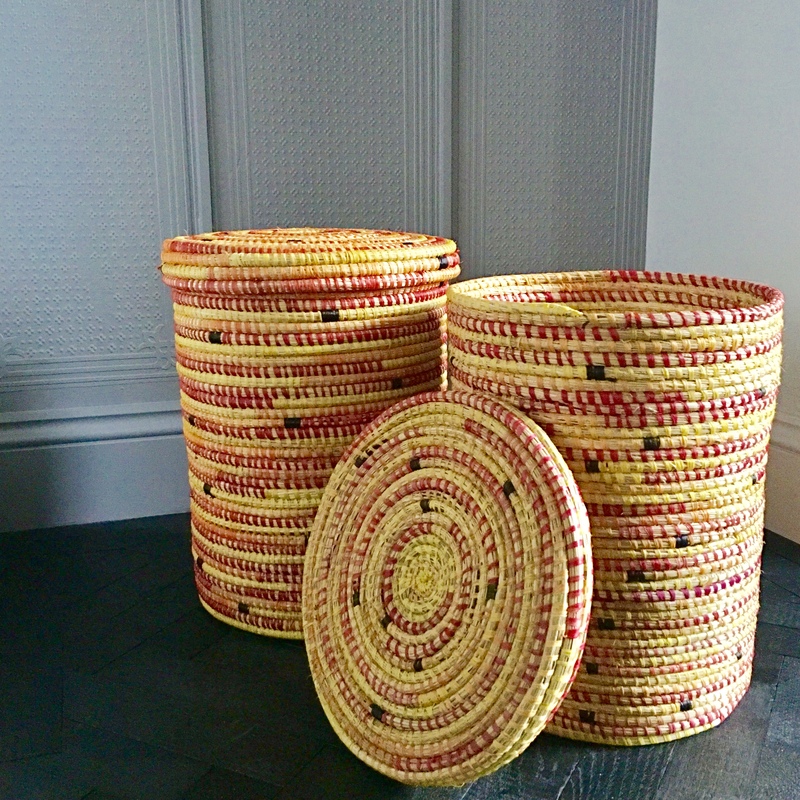 And I’m keen to share straight away for I’d previously known nothing about the TK Maxx x Rwenzori project: hand-made craft direct from Uganda. 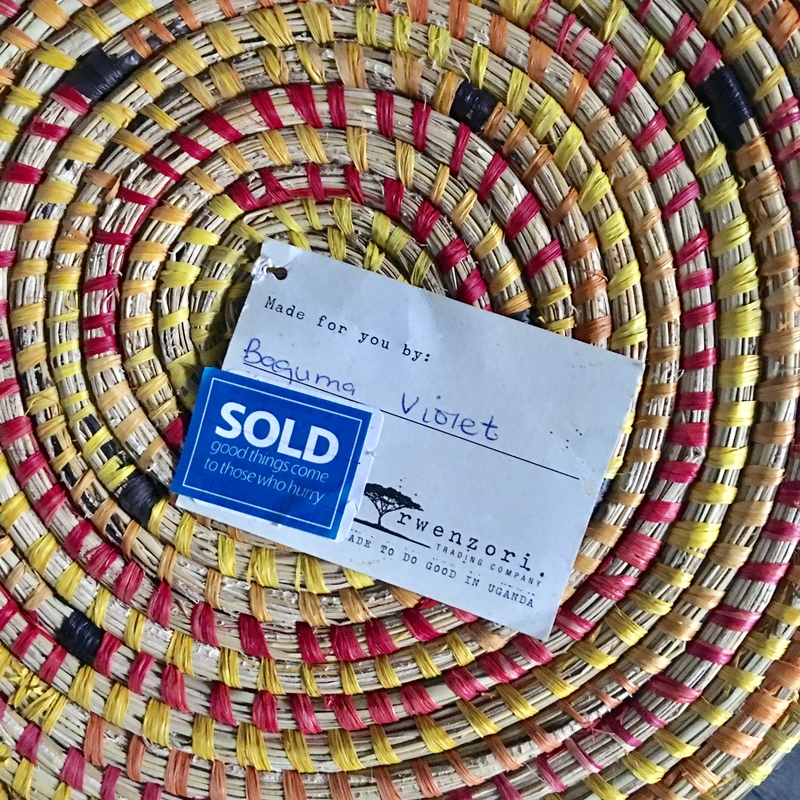 Thanks to a genuinely enthusiastic sales assistant, I noticed that the label on my baskets said, Made for you by: and then handwritten underneath in blue biro “Baguma Violet”. The logo said only Rwenzori, with the strapline: Made to do good in Uganda. Turns out that since 2008, TJX Europe (the parent company of both HomeSense and TKMaxx) have been working with community projects in Western Uganda with the goal of enabling parents to earn enough money to send their children to school. And according to my shop assistant, every penny of the £12.99 I paid for each basket, goes direct to the cause.